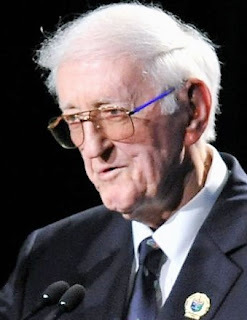 Dan Jenkins, the legendary American writer who delighted readers with his stories about golf for more than six decades, died Thursday night. He was 89. One of the most distinguished and recognisable writers in sports, Jenkins was inducted into the World Golf Hall of Fame in 2012. He covered more than 230 major championships in his career, which started in 1948 when, as a high school student, he was hired by the Fort Worth Press. He covered his first major at the 1951 U.S. Open during which Ben Hogan shot a final-round 67 to win the title. Decades later, Jenkins said it was one of the greatest rounds he’d seen. In 1955, Jenkins finished second in the Fort Worth city championship, an accomplishment he shared with Hogan and Byron Nelson. Jenkins would move to Golf Digest in 1985, where he’d spend the rest of his career while writing several books and winning the most prestigious awards bestowed upon sports journalists, including the PGA Lifetime Achievement in Journalism Award presented by the PGA of America.